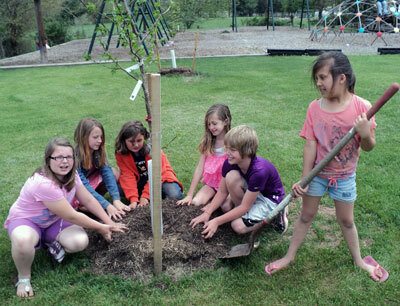 North Fork Elementary School in Pendleton County, WV received a Shade-16 kit to plant 16 shade trees throughout their campus. 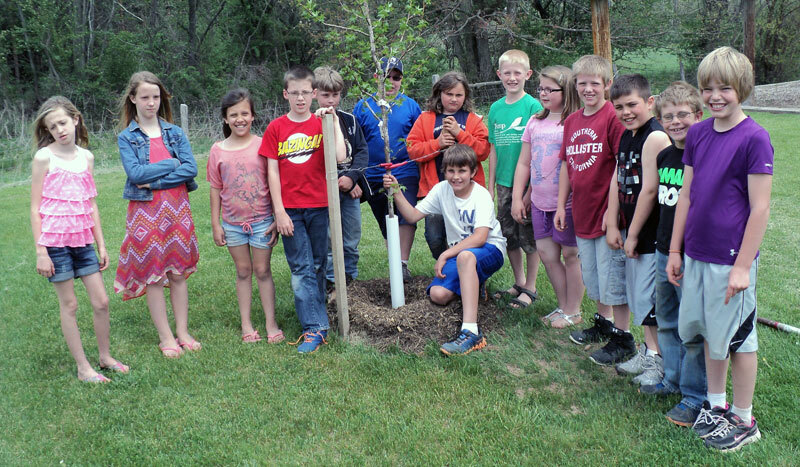 The tree planting took place on April 28th, 2014 at around 7:30am. A volunteer, who is also one of the bus drivers, augured the holes for the project. 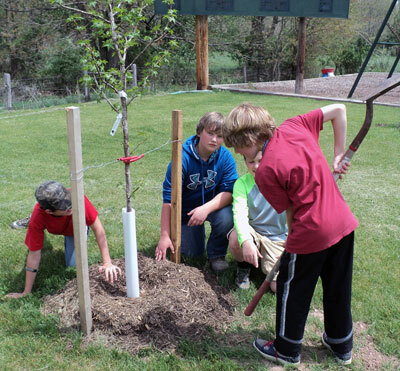 The students started coming out around 8:15 and they helped carry the trees, mulch, stakes, and tubes to each planting hole, as well as plant a couple trees. 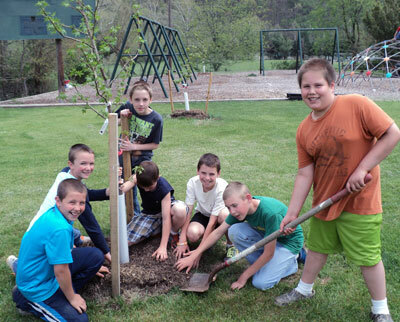 Throughout the day, 110 students were able to volunteer and participate in this project! 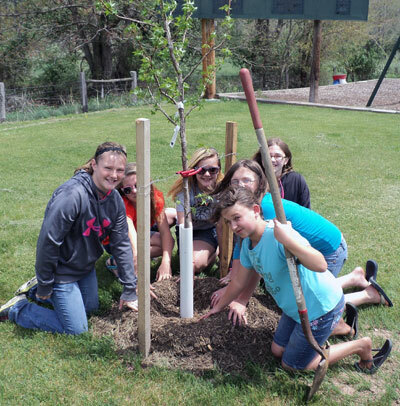 All of the students enjoyed their day outside learning how to properly plant trees.